Barcelona, Spain: A simple test of handgrip strength is a good indicator of short- and long-term survival in patients with early, stage I non-small cell lung cancer (NSCLC), according to new findings to be presented at the ESTRO 37 conference tomorrow (Saturday). In a study of 226 patients who were about to be treated with stereotactic body radiotherapy (SBRT) at the MAASTRO Clinic in Maastricht (The Netherlands), researchers found that weak handgrip strength was an independent indicator of life expectancy providing additional information to the World Health Organisation (WHO) performance status, which is used routinely at present to measure this as well as patients' general well-being and ability to manage the activities of daily life. Patients with weak handgrips were 1.5 times more likely to die within five years, compared to those with strong handgrips. 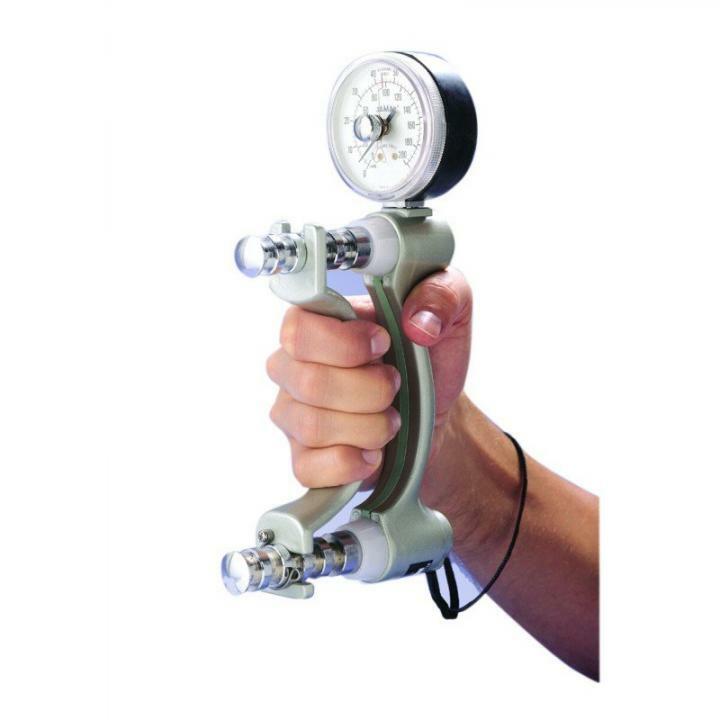 Handgrip strength was even able to indicate life expectancy within one year of the measurement being taken. Dr Stéphanie Peeters, a radiation oncologist at the MAASTRO Clinic, said: "We have found that handgrip strength is an objective, cheap and easy way to measure short- and long-term overall survival in stage I patients with non-small cell lung cancer who are being treated with stereotactic body radiotherapy with the aim of curing them. The WHO performance status measurement is quantified by a physician, and therefore may be prone to subjectivity. The handgrip test, on the other hand, is a more objective measure that may provide additional information on the general condition of a patient. Our analysis shows that handgrip strength is a valuable additional measure for predicting overall survival." NSCLC patients who were about to be treated with SBRT between 2006 and 2012 were asked to grip the handle of a device that measures grip strength as hard as they could for three seconds. This was measured three times for each hand. Fifty-nine per cent of the patients were men and 41% were women. They had a mean (average) age of 72. The results of the test were adjusted to take account of gender, age and height. Handgrip weakness was seen in 31% of patients, whereas 69% had no weakness. Handgrip strength varied between 17kg and 39kg (mean of 28kg), and weakness was defined according to what was normal in the general population, taking into account age and gender. Among those with handgrip weakness, only 12% were still alive five years later, while 40% of patients without weakness were still alive. Other factors that were associated with an increased risk of dying within five years were being male, being older and having a lower body mass index (BMI). "It is not always easy for a physician to get a good idea about the general condition of a patient based on one, or only a few, doctor's visits. In this study we have shown that handgrip strength provides additional information to help evaluate survival, which may guide the physician in how to manage the lung tumour. In patients with poor prognosis, it may be decided not to give an active treatment, and having an objective measure such as the handgrip test may give more weight to this important decision. Close surveillance may then be an option," said Dr Peeters. Further work needs to be performed to validate the test in other groups of patients in order to justify the widespread use of the test. In addition, the researchers do not know whether improving a patient's general health and fitness might help improve their life expectancy. "Future studies could explore the impact on survival of improving the handgrip strength in patients with weakness before the start of a curative treatment," she said. President of ESTRO, Professor Yolande Lievens, head of the department of radiation oncology at Ghent University Hospital, Belgium, said: "Patients with early-stage, inoperable non-small cell lung cancer who are treated with stereotactic body radiotherapy often die from other diseases and conditions and not from their cancer. In order to give patients the best quality of life while also treating their cancer as effectively as possible, doctors have to weigh the pros and cons of the treatments; in other words, the potential survival gain against the potential adverse effect on quality of life. This interesting study shows that a simple handgrip test provides doctors with an objective, cheap and easy way to assess their patients' overall health, which will help them in deciding on the best way of managing the cancer. While the test already provides interesting information for this population of early-stage lung cancer, it may prove even more interesting in more advanced tumour stages, the risk of toxicity from combined chemo-radiotherapy schemes being more important than after SBRT."